Dicondra argentea is a native to the Desert Southwest. It can be found in Texas, New Mexico and into Northern Mexico. When I think of a traditional Dichondra lawn my first thought is how much water is required. With this desert version not much. In fact too much water can be a problem Dichondra argentea will rot. Good drainage or drying out periods between irrigation cycles are a must for Dichondra argentea. Cold will not be a problem in California gardens except in high altitude locations. Dichondra argentea is great in a hanging basket or as a groundcover. 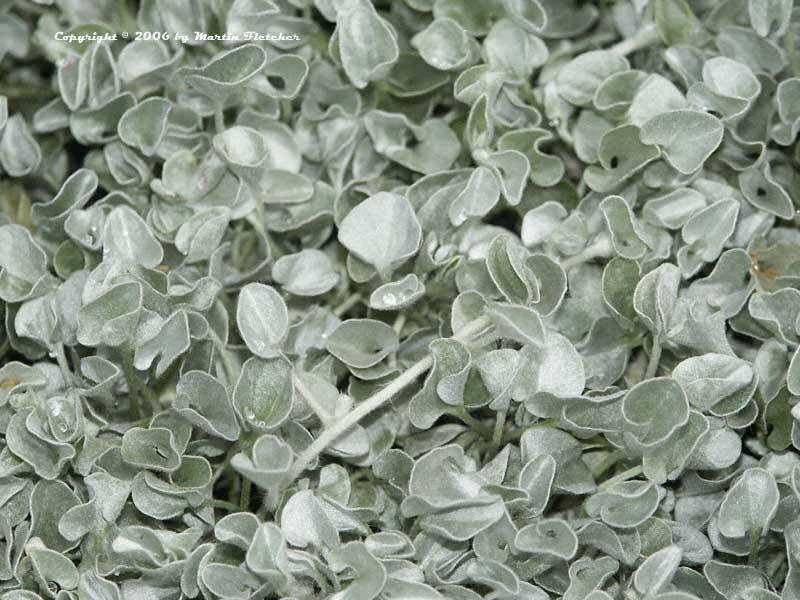 Silver trailing foliage of Dichondra argentea - Silver Dichondra. High resolution photos are part of our garden image collection.